Sidi Wire SP cycling shoes are basically the normal Sidi Wire shoes with a Speedplay specific carbon sole that has the 4 bolt pattern integrated. Compared to the normal 3 bolt patterns of carbon soles (Look or SPD cleats) no base-plate is needed to install Speedplay (Walkable) cleats. In this article I will share my experiences with the Sidi Wire SP shoes and zoom in on some of the unique design features. On the product page you can see a good set of product features, that I particularly like. In the section below I will elaborate more on these features, because they don’t just sound good on paper but are extremely valuable in practice to fine-tune fit and comfort. 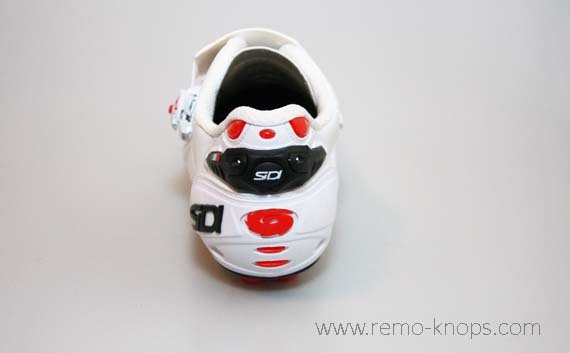 The Soft Step 3 System from Sidi can be moved in and out, so it will optimally cover the upper part of your foot. This really helps in the pulling part of the pedal stroke. The Sidi Heel cup is rigid and keeps the heel in its place, where heel retention device can squeeze the width of the heel section so it locks the heel in position. I have a pretty slim and narrow foot-shape so having this adjust-ability has proven to be very valuable. Finally the Tecno 3 Push system that tightens the shoes. It allows you to fine tune the pressure and wrapping of the upper part of the shoe.My first pair of Sidi Wire SP shoes didn’t have the push version of the Tecno 3 system, I simply need to open the lid manually and turn the Tecno 3 ratchet tho tighten the shoe. The push system is helpful on the road, and automatically opens the lid of the Tecno 3 ratchet. I will not start the comparison with the Boa closures, but for me the Tecno 3 system simply works. All described items -including the heel pad- are fully replaceable. Easy when you crash or break some parts during training. However you can also use this to customize the shoes. I’m thinking to replace the Soft Step 3 and its short Tecno 3 system on my old shoes, and changing it into a black version. I’ve purchased my first pair of Sidi Wire SP cycling shoes 2,5 years ago, and these are still in excellent condition. 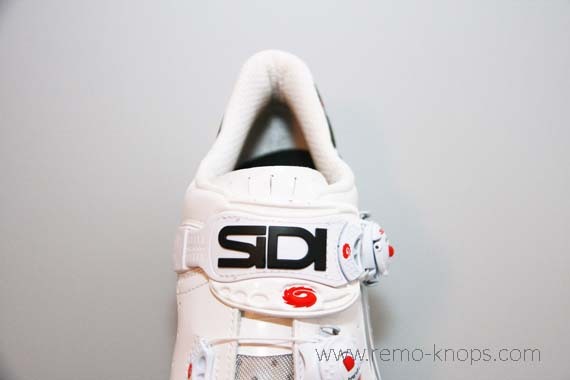 With Sidi you get a pair of high quality and well thought out pair of shoes, where all major parts can be replaced when needed (in case you need to). If you get the right size (Italian shoes shape seems to be smaller) you get a pair of indestructible slippers. The heel retention device and the Tecno 3 system allow you to fine-tune the fit to your personal preference. 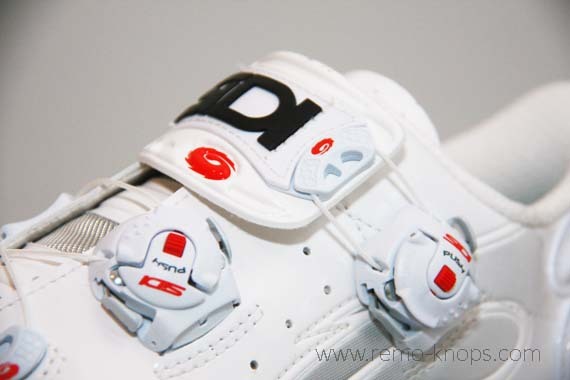 One thing you need to keep in mind, is that the Sidi Wire SP version has limited availability online. In combination with an advised retail price is about € 350,00 these are shoes for the true Speeplay addicts. 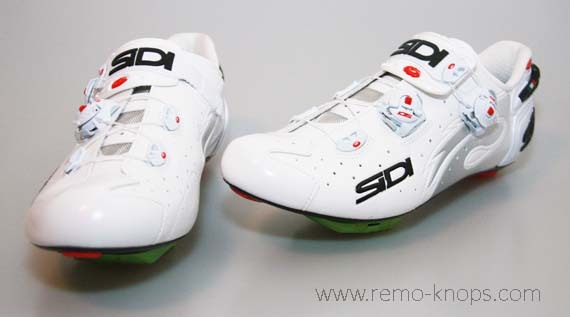 Fortunately I could always get the Sidi Wire SP shoes for a price point of around € 250,00 which to me is acceptable. I’m using the Solestar Kontrol BLK insoles with the Sidi Wire SP shoes. If you are interested to read my other cycling related review, please check out this table. 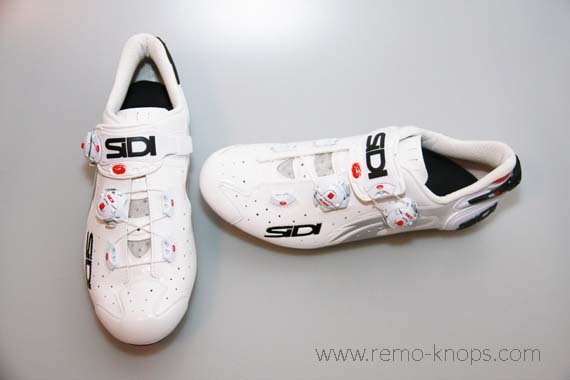 Hey!, I found this information for you: "Sidi Wire SP shoes review – Speedplay Carbon Sole". 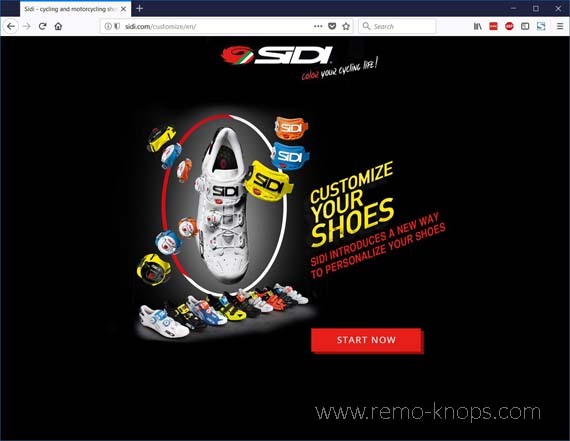 Here is the website link: https://www.remo-knops.com/7449/sidi-wire-sp-shoes-review-speedplay-carbon-sole/. Thank you.